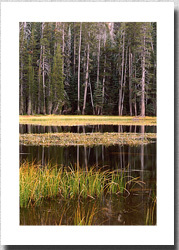 "EcoImages" stands for "images of the environment" and is the business name to market the photographic work of Gordon Lund. 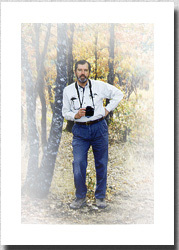 Gordon Lund is a nature photographer as well as a biologist who received a Ph.D. degree from the University of Iowa with an emphasis of study in the areas of ecology, physiology, and animal behavior. Some of his scientific research involved the design and application of radio monitoring devices (telemetry) to study physiology and behavior of free-ranging animals. While he received some photography training in graduate school, he is predominately self-taught and started taking nature pictures at an early age with a Brownie camera, a spotting telescope, and the encouragement of a befriended, small town photographer as brief mentor. He is thus someone who is intellectually drawn toward the natural world, and photography allows him an opportunity for emotional expression in his profession. Gordon believes that while the mind influences the heart, it is more the heart and not the mind that motivates and channels people's behavior toward nature. A photograph succeeds in Gordon's view if it attracts one toward it by stirring an emotion, tickling some curiosity, or educating. From his perspective, beauty, serenity, and an inviting appeal are great attracters, and nature offers these things in such rare abundance that he never tires of the search, the moment, and the attempt to capture them on film. His approach in photography is to reach for some essence in nature, to reveal the character of the place or thing as a way to enhance in others an appreciation and sense of responsibility for the natural order and processes that science explains. May his photographic images enhance your environment, and may they also benefit, in some way, what they represent in return. Toward that end, EcoImages is being operated to contribute ten percent or more of net profits to support nature conservation and research.